Quickly reduce agglomerations with our durable, compact lump breakers. 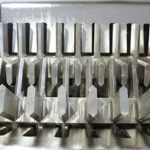 Designed to provide a simple, efficient means of reducing agglomerated materials, our LumpMaster® line of clumping prevention equipment is both durable and economical. As your complete source for all bulk material handling needs, we have engineered the LumpMaster® specifically to reduce natural agglomerations that can occur during storage or shipping, or to reduce deliberately compacted materials. Featuring counter-rotating dual shafts, outboard bearings and a direct coupled drive, this equipment is designed to reduce lumps to approximately ¾” and allow material to be effectively handled by downstream conveyors. Clumping prevention begins when material enters the LumpMaster® through the opening in the top. 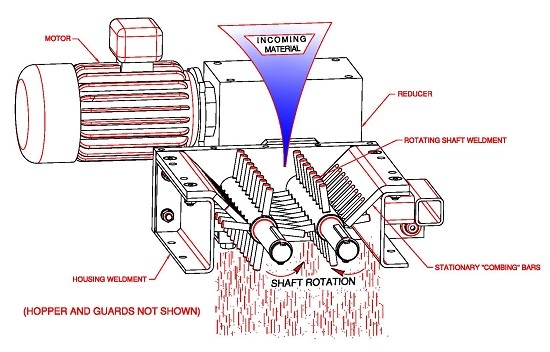 Pieces of material too large to pass through the rotating shaft pins and the stationary combing bars are crushed as the shaft weldments rotate. The material continues to be crushed until it is small enough to pass through. Lump breakers are a necessary component of most bulk material handling systems. 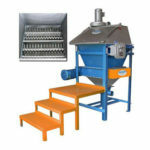 They are best used in an inline operation at the discharge point of raw material. To best accommodate this important bulk material handling dynamic, we have engineered our complete LumpMaster line to compactly fit under automatic unloading equipment, manual bag emptying stations, or at the discharge point of storage silos or containers. Do You Have Lump Breaker Questions?